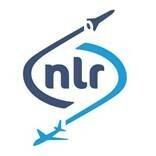 NLR is a leading international research centre for aerospace. Bolstered by its multidisciplinary expertise and unrivalled research facilities, NLR provides innovative and integral solutions for the complex challenges in the aerospace sector. NLR’s activities span the full spectrum of Research Development Test & Evaluation (RDT & E). Given NLR’s specialist knowledge and facilities, companies turn to NLR for validation, verifica­tion, qualification, simulation and evaluation. NLR thereby bridges the gap between research and practical applications, while working for both government and industry at home and abroad.